UPCOMING TRAINING - CLICK BELOW TO REGISTER! WEATHER UPDATE - WEEKLY HAPPENINGS! Please, check here for latest updates! WEEK OF APRIL 15th - 21st, 2019! We were thrilled with the turnout for our last, Spring Box Training session on Saturday, April 13th, at American Indoor! Box League announcement may be read here! For those who have not yet received uniforms (shooter shirt and shorts) due to the cancelled Bitter Tourney (or other), we WILL get them to you at some point! Registration is currently under way for any and all events on the Home page and under the Upcoming Training page that have live links. For those that do not, please, come back later! DATES & LOCATIONS HAVE BEEN FINALIZED FOR THE STATE CHAMPIONSHIP SEMINAR, THE SUMMER COMBINE, AND SUMMER PRACTICES! STAY TUNED FOR THE ANNOUNCEMENTS! 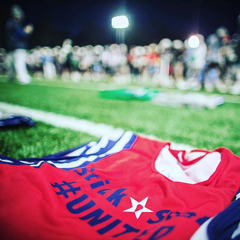 StickStar Training Registration will look a little different starting in 2019 as we strive to increase efficiency and make the process easier. In order to do this, EVERYONE must complete the Player Information Form for 2019 PRIOR to any seminar registration. This way, an insurance card will NOT need to be uploaded each and every time. Step 2: Fill out your Abbreviated Seminar Registration. Click on the specific training that you plan to attend. Step 3: For any event at SMU (All Star Game, Combine, Showcase, JTP, practice), know that there will be an SMU-required waiver sent out prior to the training. Normally, we get the event-specific forms without much time and need them to be printed out, completed (both sides), and turned in at the door. StickStarLacrosse.com/TRAIN will be the home for training in the Lone Star State. StickStar's method is the Component Based Instructional Methodology™ which has been developed over 10+ years. The training environment that StickStar creates is unique, as are the #StickStarHabits we consistently develop year after year. Our seminars, combines, box instruction, affiliate training, films, competition, and seasonal opportunities are all utilized to create a unique, well-rounded player. Details on how to join us and participate in our training may be found above. We look forward to seeing you out there! The #StickStar Republic and its AFFILIATES! StickStar has provided instruction for over 10 years, and programs across the State have taken notice. Nine, different programs have, at some time, paired with our company to bring instruction & development to their players. From Tulsa to Austin, Houston to Dallas, and San Antonio, too, folks across the south are excited to work with StickStar. If your program would like to affiliate, please reach out to StickStar so that we can explore this mutually beneficial relationship. Click for more info on AFFILIATING! (Fall & Spring) StickStar Seminars are a key component to our United-based approach to Statewide Development. 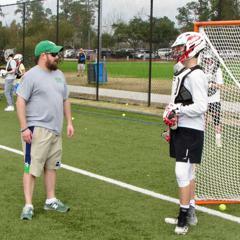 Seminars range anywhere from 6 – 10 hours, with a cost of $75, and provide the greatest value for lacrosse instruction in the State. We ask you to invest the time to have your player train with us and provide you and your player the opportunity to try out our instruction and evaluate whether it is something you are interested in. We are working very hard to build a statewide program that offers great instruction. This is where it all starts! (Winter & Summer) StickStar Combines are traditionally longer than seminars and augmented by utilizing competition and sprinkling in college coaches. The college coaches we bring in are truly select and trusted in terms of their approach and dedication to development. Each coach comes with a considerable amount of positional understanding. At the Combines, we layer on technique from individual / positional skills, learn team-based concepts, and finish it up by competing (with a focus on execution). Each year, the competition has changed to include everything from 7s to Box. (YEAR ROUND) StickStar’s the Art of Erasing (#AofE) is here to change the face of goaltender training. How many camps have you been to where goaltenders are herded like cattle through random drills, none of which are tailored to their specific skill set? If you are like most, the answer is all of them. Well, that stops here! With our Seminars, Clinics, and Camps, we offer three different avenues to improve a goaltender’s skill set, all of which are influential on their own or stacked with our other programs. Want to see what makes us different from all other goaltender trainings in the nation? Click here to find out!